Is Morocco the Model for Arab Democracy? At the Western reaches of the Arab world, one nation has embarked on a path of incremental progress. Can liberty come without revolution? The Arab Spring is leaving chaos in its wake. Islamization, renewed state repression, and the threat of starvation led to a military coup after the ouster of Egypt’s Hosni Mubarak. The Libyan civil war finally put an end to Moammar Qaddafi’s Stalinist dungeon state, but terrorism, destabilization, assassination, and precarious anarchy followed. Sectarian bloodshed approaching genocidal levels may destroy Syria even before its tyrant Bashar al-Assad is strung from a lamp post or exiled. In short, internally-driven regime changes in the Arab world don’t seem to have worked much better than the externally-imposed regime change in Iraq. 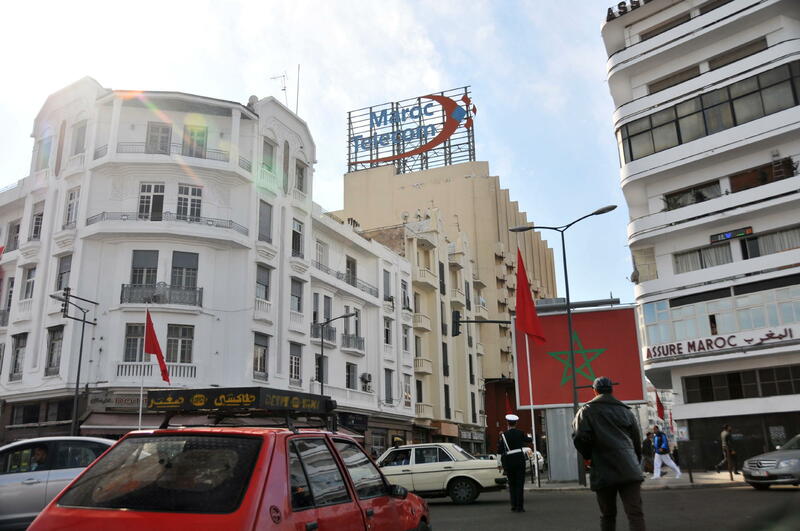 But on the northwest border of Africa, change is coming to Morocco in a calmer and more gradual way. The ruling regime has been reformed instead of replaced, leaving institutions intact and creating no vacuum for thugs and fanatics to fill. Demonstrations sometimes occur, but they don’t degenerate into riots, armed conflict, or mob rule. Nobody thinks civil war is coming; nor is there any danger of an Iranian-style revolution. 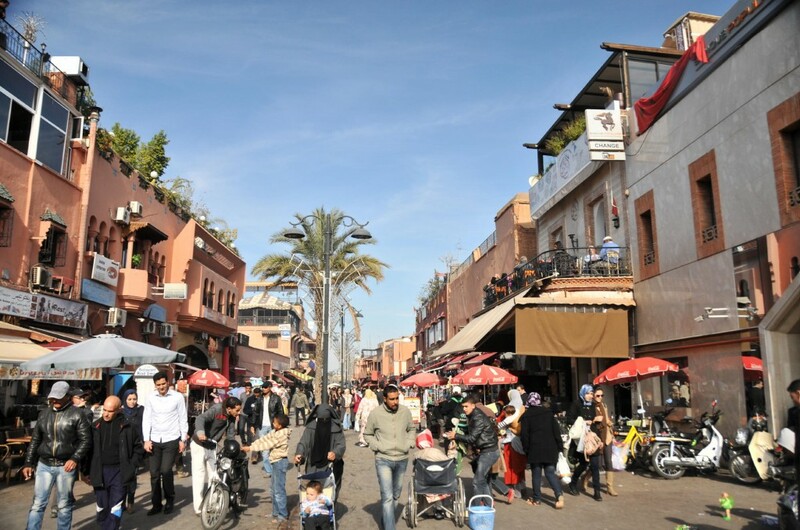 Morocco has been outperforming its Arab neighbors for years. Now that a political hurricane is battering the rest of the region, it looks better than ever. Morocco evolves instead of explodes, and while incrementalism does not offer the instant gratification of uprising and revolution, it’s precisely what the United States should be promoting throughout the Middle East. After spending more time than was good for me in Baghdad and Cairo, Morocco’s capital Rabat struck me as remarkably clean, well-ordered, peaceful, and civilized. 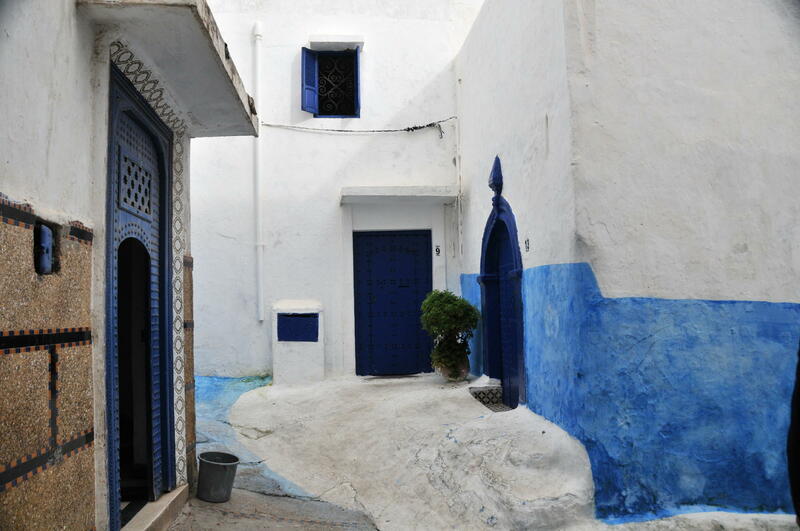 While so much of the region wallows in dreariness, Morocco is awash with startling beauty and aesthetic perfection. Few people love the largest city, Casablanca. It’s a bit chaotic, reminding me of the less fashionable parts of Beirut. But the city center looks and feels like the capital of a European empire, and the reason why struck me at once. Unlike most Arab countries outside the Gulf region, Morocco never went through a devastating socialist or Arab nationalist phase. Nor has it suffered revolution or sectarian war. Much of Cairo looks Soviet. Beirut and Baghdad have chewed themselves to pieces. Damascus, Homs, and Aleppo are doing it now. Soviet-style tyranny and civil war wrecked Algiers. 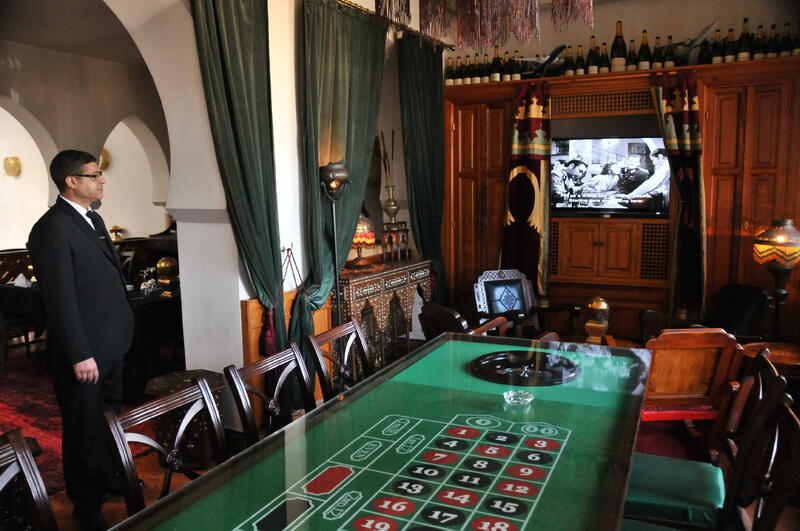 But Morocco passed through the post-World War II era with nary a scratch. It’s an astonishing thing to behold; and it’s impossible, for me anyway, to ignore why: Morocco has been ruled by a stable monarchy for over 300 years. Americans instinctively hate monarchy. Our country was forged in revolution against the British crown, and the nation’s founders established one of the most durable and resilient democratic systems in history. Few Americans, however, are reminded of King George III when they consider the ruling Arab monarchs. The sheikhdoms of the Persian Gulf, for example, are run by decadent medievalists at best and terrorist sponsors at worst. King Abdullah of Jordan looks and is better. He’s a modern man who maintains his father Hussein’s peace treaty with Israel. Hussein’s widow, Queen Noor, is a feminist from America. Abdullah clearly wants to bring his country into the 21st century, but he might not survive the turmoil buffeting the region and his kingdom. Half the country wants him out and wants him out now. His family isn’t even from Jordan. They come from the Hejaz region of Saudi Arabia and were installed in 1921 by the British. The Moroccan monarchy is different. The Alaouite dynasty has ruled the country since 1666. The current king, Muhammad VI, is said to be a direct descendent of the prophet Muhammad. This gives him a degree of legitimacy that military dictators like Qaddafi could not even dream of, and even elected heads of state like Egypt’s Muhammad Morsi failed to maintain for so much as a year. Muhammad VI’s late father, Hassan II, was an absolute monarch who ruled with a fist of absolute iron. Morocco was a police state. Rabat looked, felt, and smelled little different from Damascus and Cairo. But in 2004, his son established a Truth and Reconciliation Commission—the only one in the world that was not a result of regime change. He urged citizens to air their grievances, including against his own father. Political prisoners were released. Non-governmental organizations were legalized and now flourish, providing a buffer between citizens and the state. In 2004, the king granted sweeping new rights to women, with a new personal status code unmatched anywhere in the Arab world outside of Lebanon and Tunisia. During the reign of Hassan II, women were “politically” equal with men, but today they also have social and civic equality. “The king hasn’t retired from the government,” said Nadia Bernoussi, a professor of constitutional law who helped draft the new constitution. What changed is that the parliament has entered the government. Our intention was not to hobble the monarchy, but to clearly set out the responsibilities for each branch of the government. Because the context we were working in was the Arab Spring that’s sweeping the region and all of its dangers, we didn’t want to hobble the monarchy; because we looked to the monarchy to ensure the changes we were making wouldn’t get lost. The changes they made, including sweeping new rights for women, very well could have been lost. Elsewhere in the Arab world, they have been. Egypt was ruled by a calcified military dictatorship the first time I visited in 2005. When I returned during the period between the fall of Mubarak and the election of Morsi, Egypt was a partly free country. At times, it felt completely free, a remarkable turnaround from just a few years before. But the new president’s power grab and his crude attempts at Islamization made Egypt progressively less free by the month. The army that removed him is no better. It’s the same institution that made the state a dictatorship when the self-styled Free Officers led by Gamal Abdel Nasser seized power in 1952. In Morocco, Muhammad VI appointed the council that drafted the new constitution. He wanted representatives from across the political spectrum, but he also wanted a progressive modern document; so he excluded communists and radical Islamists from the process. He achieved liberal results with illiberal means. Such is the paradox of Morocco. Moroccan liberals are generally happy to have the results despite the process. I spoke to a number of women’s rights activists in Rabat, for example, and when I asked if they feared the Islamists, they said no, and the reason was “because of the king.” In the Arab world, it seems, you can often get liberal results or liberal means, but not both. I don’t know if Muhammad VI is enacting reforms because he genuinely wants to liberalize the country, or because he wants to ride the wave of discontent rather than be swept away by it. I suspect it’s a little of both. What’s left of the opposition doesn’t agree. A series of protests broke out on February 20, 2011, four months before Morocco adopted constitutional monarchy. The protests were not led by a single movement or party, nor were they particularly organized. They were politically diverse, geographically dispersed, and often parochial. In that sense, February 20 was more of a phenomenon than a movement. Whatever we should call it, it was inspired by the mass demonstrations that brought down Egypt’s Mubarak and Tunisia’s Zine El Abidine Ben Ali. In Rabat, tens of thousands took to the streets, shouting “the people want to change the constitution” and “down with autocracy.” They got at least some of what they wanted, and they got it in less than four months. But dozens of them are in prison. Opposition critics say the new constitution’s separation of powers is insufficient. They accuse the king of undermining it on the sly. Whether or not these complaints are fair, all governments—democratic, partially democratic, and autocratic alike—need opposition and critics. What nations usually don’t need or want is revolution. The French Revolution followed ours, and Jefferson naturally swooned while it was happening. But it didn’t end well. Instead of enjoying the blessings of liberty, the French inflicted the Terror on themselves and later reverted to monarchy. But those lessons are lost to time for all but the most historically-minded. Thanks to the Russians, average Americans looked askance at revolution throughout much of the 20th century. The October Revolution of 1917 installed a totalitarian dictatorship that built a slave empire spanning most of two continents. Then it replicated itself, virus-like, by sponsoring similar revolutions all over the world, creating one ghastly police state after another. But Europe’s anti-communist revolutions in 1989 seemed to put everything right. Repressive regime after repressive regime fell to liberal dissidents like Lech Walesa in Poland and Vaclav Havel in Czechoslovakia. The 1989 revolutions echoed the American Revolution in some ways, and they’re fresher in everyone’s minds than their botched predecessors. None of us old enough to have witnessed it can forget the fall of the Berlin Wall. Freedom was spreading again after the terrible communist detour. The tide of history was washing tyrants away, as it should. The Arab world seemed perfectly capable of replicating what Americans and Eastern Europeans had accomplished. During the Beirut Spring in 2005, the Lebanese evicted Syria’s smothering military occupation without firing a shot. The more or less free and fair elections that followed sent the liberal pacifist Fouad Seniora to the prime minister’s office. The model for Lebanon’s uprising was the revolutions in Eastern Europe. I know because I was there. The very name “Beirut Spring” harked back to the 1968 Prague Spring. Surely the same thing could happen in Cairo and Tunis and Tripoli and Damascus. Right? Tunisia’s revolution was mostly non-violent and has been at least partly successful; but Egypt’s, Libya’s, and especially Syria’s have been much darker affairs. The very name “Arab Spring” evokes the romantic image of the Prague Spring, but we should remember that the 1968 Czech uprising, like the 1956 Hungarian revolution before it, ultimately failed. Soviet troops rolled into Budapest and Prague and smashed both democratic movements under the treads of their tanks. In celebrating the Arab Spring, too many failed to take into account what was unique about America in 1776, Eastern Europe in 1989, and Beirut in 2005. In all three cases, the people were resisting a tyrannical regime that was imposed from the outside: by the British crown, Soviet Russia, and Syria’s Arab Socialist Baath Party respectively. These revolutions were produced by a more or less democratic political culture that already existed and was being suppressed by force from abroad. Democratic political cultures aren’t created by revolutions. They are created in advance of revolutions and reach their maturity during the aftermath. Lebanon and Tunisia are doing better than Egypt, Libya, and Syria because they already had partially democratic and pluralistic political cultures that were being suppressed by their rulers. But Egypt has never known anything but authoritarian rule, and before rebel fighters lynched Qaddafi outside Tripoli, he treated Libya like a mad scientist’s laboratory for longer than I’ve been alive. America was an exceptional place in 1776. So was Eastern Europe in 1989 and, to a lesser extent, Lebanon in 2005. So is Morocco. It’s not exceptional in the same way the American colonies and Eastern Europe were exceptional, but it is exceptional. Morocco is doing better than most Arab countries because of its system of government, and it’s doing better than other Arab monarchies because of its history. That history is unique in large part thanks to geography. When I visited the country, I drove from Rabat to Marrakech—a perfect city for tourists—and from there into the towering Atlas Mountains. Morocco is huge. It’s rugged and craggy. Much of it is green. Part of it is on the Mediterranean, but most is on the Atlantic coast. It doesn’t look like any place in the Middle East, and nothing like the culturally vacuous Persian Gulf emirates. It doesn’t look like a Mediterranean country or an African country. Morocco is just Morocco; separated from Europe, the Middle East, and sub-Saharan Africa by water, mountains, and the hottest desert on earth. Over the centuries, its history and geography have sculpted a culture that’s partly Arab, partly Berber, partly European, and even partly Jewish. Its government is so stable it’s an anachronism. The capital is 3,000 miles away from Mecca, the center of the Islamic world; while the city of Tangier is so close to Europe that you can see Spain across the Strait of Gibraltar. A fit enough person could swim there. The Spanish city of Ceuta on the north coast of Africa is actually contiguous with Morocco. It has been free of Muslim rule and either self-governing or Spanish for almost 600 years. In the past, Morocco ruled parts of Spain. More recently, the Spanish ruled parts of Morocco. And there is no doubt that the two countries have influenced one another. One of the more striking things about Spain’s southern region of Andalusia is how it looks and feels vaguely Moroccan, especially compared with Madrid. No one can visit Morocco without noticing that parts of it look and feel vaguely European, especially compared to the heartland of Arabia. Moroccan culture is also influenced by Sub-Saharan Africa and by Judaism, which has existed there for thousands of years. The new constitution defines Moroccan identity itself as partly Jewish. What’s really striking about Morocco, however, is how much less Arab it is than other Arabic-speaking countries. That’s partly because nearly half the people aren’t even Arabs. They’re Berbers—or Amazigh as they call themselves—an indigenous people who predated the 7th century Arab invasion by millennia. Morocco is a diverse and polyglot place, but its people have managed to create a coherent and unified culture that is rarely prone to the sectarian and ethnic violence that has torn other Middle Eastern countries apart. But it’s not just the Europeans, Berbers, Jews, and black Africans that make Morocco unique. It’s also the country’s distance from the Arabian Peninsula and the core of the Islamic world. During my visit, I met with Dr. Ahmed Abbadi, who holds a PhD in Islamic Studies from the University Qaddi Ayaad in Marrakech. 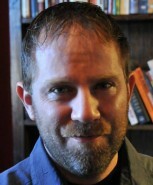 Before 1995, he taught comparative history of religions and Islamic thought. Today he teaches sociology in a cooperation program between the University Qaddi Ayyad and DePaul University in Chicago. He agrees that Morocco’s uniqueness is geographic in origin. Indeed, when I stood on the beach in Rabat it felt strange to think that directly across the water lay not Turkey or Iran or Yemen or Pakistan, but Myrtle Beach, South Carolina. Morocco is closer to the United States than most of Europe. Baghdad is as far from Rabat as Canada’s Prince Edward Island. Robert D. Kaplan, in his fascinating book, The Revenge of Geography, notes that mountains are a conservative force. For good or bad, they block the spread of ideas. 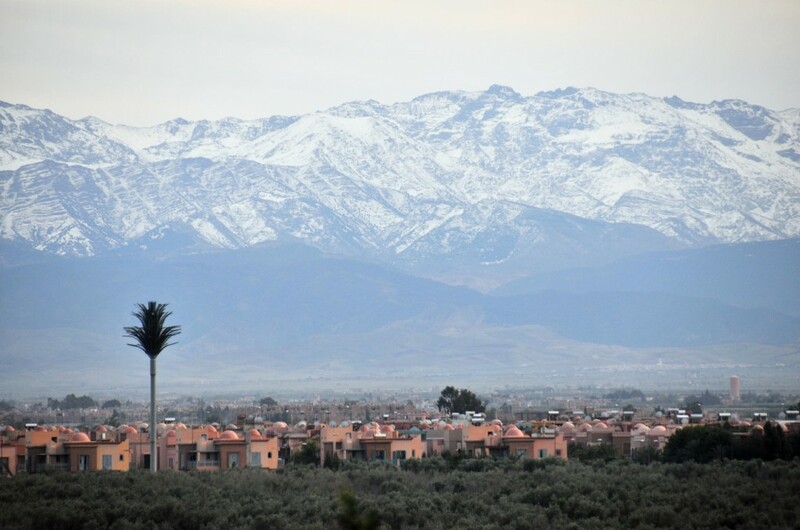 The Atlas mountains are a powerful conservative force; not only do its snow-capped peaks slow the progress of ideas and culture coming from the Middle East, they create hyper-local cultures within Morocco itself. 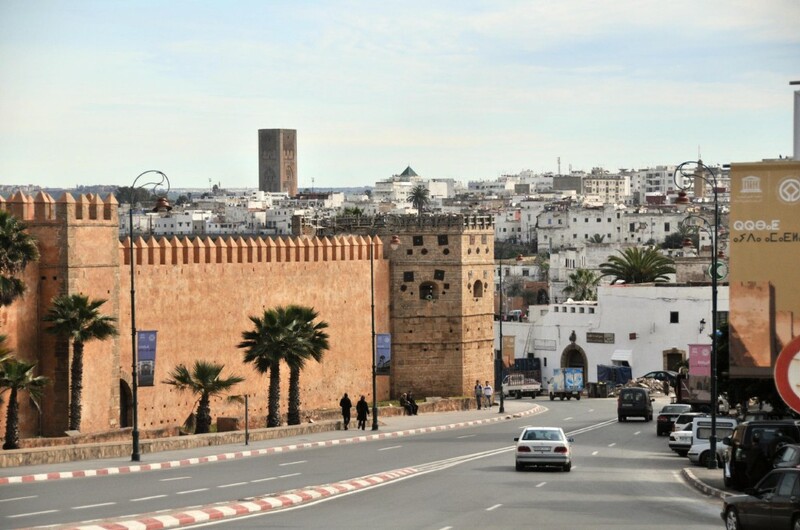 Port cities, moreover, are inherently liberal, and Morocco has lots of them. Because they are hubs for travel and trade, they provide access to foreign people, ideas, and culture; and they do it safely because the sea protects them from ground invasion. Morocco’s port cities are all right next to Europe. 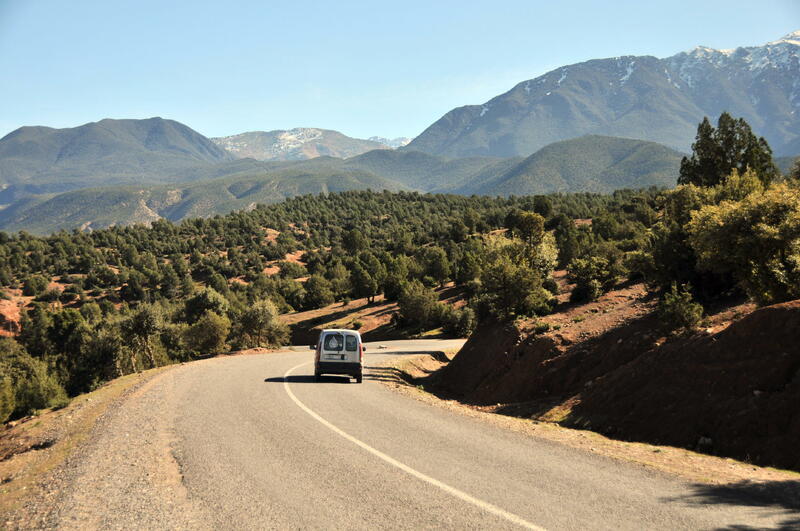 In short, Morocco’s geography is a blessing. Its port cities near Europe tend to bring good ideas in, and its mountains keep some of the Middle East’s worst ideas out. Arab nationalists like to claim that the Arab world is a single nation cruelly divided by European imperialists, but this is a fantasy. The Arab world is coherent as a civilization, but like all civilizations it’s splendidly diverse and tragically fractious. Not even Lebanon can hold itself together as a coherent nation, and it’s smaller in population than metropolitan Houston. So of course Morocco is different from other Arab countries. All Arab countries are different from other Arab countries. When the Prophet Muhammad’s armies swept out of the Arabian Peninsula thirteen centuries ago, they spread their religion and language, but they didn’t exterminate and replace indigenous populations. And the natives often influenced their conquerors as much as vice-versa. In Egypt, Arabs became Egyptian even as most Egyptians eventually converted to Islam and learned Arabic. In Tunisia, the conquerors assimilated themselves and their religion into a highly advanced civilization that was Western in orientation. And in Morocco, they mixed with a Berber population linked to both Sub-Saharan Africa and southern Europe. This is how it always goes for imperial expansionists. Mexico, for example, is to this day a fusion of European and Aztec cultures. Religions also change as they spread. Christianity is practiced in strikingly different ways in, say, Norway and Cuba. And both are very different from Christianity as practiced in Jerusalem, its birthplace. In the same way, Islam as practiced in Rabat is very different from how it’s practiced in Mecca. Like everything else in Morocco, it’s milder. I asked Dr. Abbadi what he thinks of the term “moderate Islam.” Some Muslims don’t like it. Some non-Muslims think moderate Islam doesn’t exist. Even some Muslims insist that moderate Islam doesn’t exist. “That’s very dangerous,” Dr. Abbadi said. Islam is not absolute. It is yoked to the human dimension. It is we humans who understand Islam. It is subjected to my reason, my way of understanding the world, and my analysis. Religions encounter previous cultures, previous religions, previous visions and cosmologies. It merges with all of them. No religion falls from the sky onto bare ground. The United States has precious few allies in the Arab world. Only two Arab governments are genuine friends instead of friends of convenience. One is Jordan. The other is Morocco. Unlike “frenemy” nations like Egypt and Pakistan, Morocco is a real ally of the United States and has been for more than 200 years. Morocco has never done anything bad to America. Unlike Libya and Algeria, it was not even a belligerent in the early 19th century Barbary wars. Likewise, America has never done anything bad to Morocco. Morocco was the first country on earth to recognize America’s independence from Britain, and it was one of the first countries the United States liberated from Hitler. (Incidentally, even when it was occupied by the Nazis, the Moroccan government refused to hand over its Jews.) During the Cold War, Morocco stood fast with the United States not only against the Soviet Union, but also against Arab nationalism. Today, it stands fast with America against radical Islam. Our relationship today is partly built on a foundation of past friendship, partly on the fact that Washington and Rabat share the same strategic vision for the region and the world, and to a lesser extent on shared values. We have the same values. We have economic and cultural ties. The United States recognizes the commitment of Morocco to human rights and the rule of law. With all the changes in the region, we need to send the message that an Arab country can work with the United States on the basis of shared values. He overstates things a bit. Moroccan values are not the same as American values. The two nations don’t have nearly as much in common as Britain and the United States. But aligning with Morocco doesn’t offend American sensibilities the way buddying up with Pakistan does. Morocco is an island of stability, but it’s not calcified like Saudi Arabia or frozen and stagnant like Egypt under Mubarak. The relationship between Washington and Rabat isn’t repulsive like America’s tactical alliance with Saddam Hussein during the Iran-Iraq war. American policymakers would have to be out of their minds to suggest a different approach to Morocco. But an alliance with any kind of autocrat, even a benevolent one with limited power, can feel at least a bit awkward for both liberals and conservatives. Speaking for myself, I feel uneasy writing anything about a monarch that isn’t disparaging. It doesn’t come naturally. It feels wrong on some level. A decade ago I wouldn’t have done it. But if the Middle East has taught me anything, it’s that moderation and stability are hard won and precious. Human rights activists have a particularly difficult time praising a monarch, especially one who governs a country that Freedom House still ranks as just “partly free,” with a press that’s ranked “not free.” And that’s fine. Human rights activists are supposed to be critical of Muhammad VI. It’s their job. It’s still only fair to point out that Morocco is a lot freer than it used to be. Egypt and Syria certainly aren’t. Tunisia and Libya are, but they’re also unstable. Freedoms gained can be easily lost. And let’s not forget that human rights depend on stability. One of the most searing things I learned as a foreign correspondent in Baghdad is that human rights mean nothing in war zones. What good is freedom of speech if you’ll get killed just for stepping outside your house? What good is freedom of assembly if your city is loaded with car bombs? What good are women’s rights on paper if militias can assault women with impunity? And let’s not confuse elections and political liberalism. Mature political liberalism requires elections, but elections held in illiberal countries are often just referendums on who will be the next tyrant. That’s exactly what happened in Egypt. Elections are liberal democracy’s roof, not its floor. Morocco has free and fair elections, but not for its head of state. That has to change sooner or later. The Moroccan monarchy will eventually have to sideline itself or face being sidelined by others. Smart Arab kings know this is true of the institution in general. As Jordan’s King Abdullah said to Jeffrey Goldberg of The Atlantic, “where are monarchies in 50 years?” In the meantime, Morocco provides a safe space for peaceable coexistence between liberals and Islamists, Muslims and Jews (including Israelis on holiday), Arabs and Berbers, modernists and traditionalists. The Western press has wasted a lot of words lately describing the Muslim Brotherhood as moderate. But Muhammad VI is a real moderate. He’s a conservative in the sense that he belongs to a very old tradition and order, and he’s a liberal insofar as he advances women’s rights and has willingly abdicated some of his power. He’s a Muslim ruler who not only protects Jews, but declares Jewishness a part of Moroccan identity. He pushes for careful and deliberate change without overwhelming the country with too much at once, thus avoiding a hostile and potentially violent reaction from traditionalists. 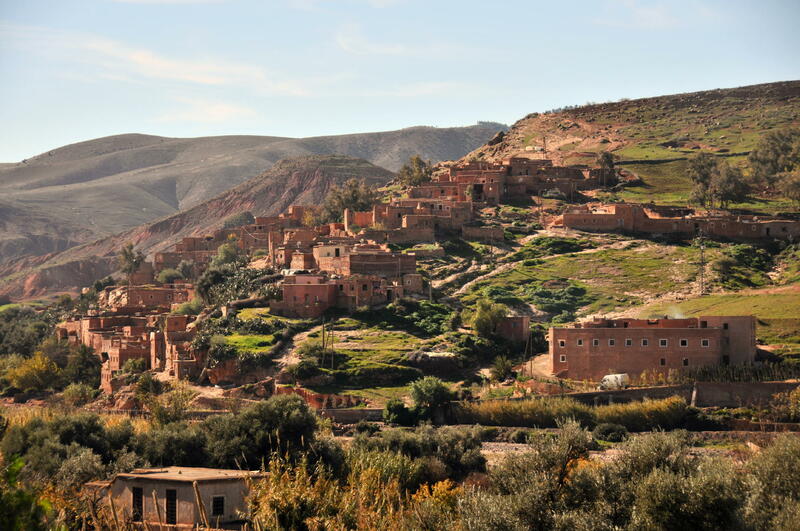 Morocco is a little like Costa Rica during the Cold War—a calm, friendly, stable, sane, peaceable, and essentially civilized oasis in a region that has known precious little of those things. The Moroccan model works, but it isn’t exportable. Egypt and Syria can’t suddenly find themselves with a widely respected monarch with hundreds of years of legitimacy behind him; nor do they have time to slowly develop a democratic culture before the next crisis. But there are lessons to be learned from Morocco that can be applied elsewhere. First, genuine reform from above can forestall violent revolution from below. Second, gradual change is almost always more durable than radical change and is preferable whenever possible. There was never a chance that Syria’s Assad would go quietly or slowly transform Syria into something more liberal. He will go violently or not at all. But the Gulf monarchies could be pressured into taking the Moroccan path. Egypt’s new rulers can and should be pushed to do likewise, though results there are likely to be less than spectacular. Third, Washington has more leverage with friendly countries than hostile ones. President Barack Obama can make all the demands he wants of the Syrian and Iranian governments. It won’t do any good unless he credibly threatens war, and even that might not be enough. Governments that receive American aid and rely on favorable diplomatic and trade agreements, however, need to be pressured into gradual liberalization as a condition of continued assistance. Egypt won’t look like a Jeffersonian democracy any time soon, but its rulers can be cajoled into at least gradual liberalization. Americans shouldn’t expect any of this to go smoothly. Morocco’s progress is exceptional because the country itself is exceptional. It’s going to take a long time for the rest of the region to make peace with its demons, and since what happens over there affects us here whether we like it or not, we’re all going along for the ride.